Icon Brickell I is the largest of the three Icon Brickell towers with 713 residences that are dog-friendly in all units. Units range from studios to three bedrooms. 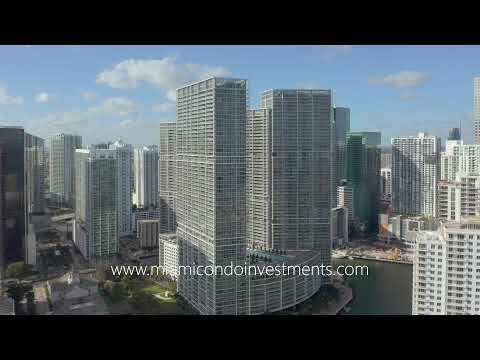 Icon Brickell was developed by The Related Group, well-known for their Miami condo developments. Architects, Arquitectonica, and Philippe Starck designed the contemporary interiors. Icon Brickell has resort-style amenities including a 300-foot long swimming pool, 50-person hot tub, 28,000 square foot spa and fitness center, movie theater, game room, café with poolside food and beverage service, poolside towel service, 24-hour full-service concierge, and 24-hour valet parking. Additionally, Icon Brickell has an array of on-site, fine-dining options in world famous Italian eatery Cipriani, Mexican cuisine from La Cantina No. 20, and American infused flavors from 15th & Vine Kitchen & Bar. It’s located within a short distance from all Miami has to offer including American Airlines Arena, Adrienne Arsht Center for the Performing Arts, Marlins Park, the Design District, Miami International Airport, and the sizzling nightlife of South Beach. What is the pet policy for owners and renters in Icon Brickell I? Icon Brickell I is a pet-friendly condo development for both owners and renters. The pet policy permits each residence to have no more than two (2) pets. There are no weight restrictions. Prior to move-in, tenants who are pet owners must pay a non-refundable pet fee of $100 to the condo association. Which utilities are included in the Icon Brickell I condominium association dues? What are the rental restrictions for Icon Brickell I condo? Owners may rent their units a maximum of one (1) time per year. No lease can be less than six (6) months and 1 day.